Welcome to the another installment of DON'T WATCH THIS ALONE!, where we review the best, worst, and everything in between in the world of horror. This week we review the new horror film by Jordan Peele...GET OUT. Tight shots, quick cuts, fish eyes, and a plot that leads you into metaphorical places that are as uncomfortable to go socially as they are psychologically. Get Out, Jordan Peele’s debut into feature-length writing and directing, left even non-horror fans pouring into theaters to see the film and have discussions about social structures and race. Hell, I read a tweet that an 80 year old grandma claimed it's her favorite film. There are many cinematographic instances in this film that, to me, are reminiscent of Kubrick’s classic The Shining. The way that Peele and Director of Photography Toby Oliver created a sense of fear, not through cheap jump scares, but rather through a sense of the unknown. There was an understanding while sitting in the seats that you never knew what was happening around you while you were viewing. The filming itself encapsulates Chris’ (Daniel Kaluuya) struggle as he encounters racism. I think the brilliance of this film is in the insidious villains. It would have been easy for Peele to paint his villains as Confederate-flag-waivin', Republican-votin’, southerners that live on an old plantation and outwardly hate black folks. Rather, our villains were liberals who, “…would’ve voted for a third Obama term,” if they could have. The brilliance here is to make a social commentary more real and cringy than the obvious choice of having conservative villains. In many ways this film speaks to me because I identify with the Armitage family in many ways. It speaks to white audiences as much as it speaks to black audiences. Furthermore, it is gentle in the way that it probes our hearts and the way that we treat others. Peele makes this film work because of how intentional the entire story is. The connections and metaphors of Chris’ experiences during this movie gives us a real glimpse at the Black-American experience. The idea of “The Sunken Place” allows us to see a metaphor of issues that we face in systemic racism and the challenges that Black-Americans, particularly males, face in our culture. It’s quite brilliant of Peele to not put it so on the nose, but to keep us strung along with the story and teach us. Finally, the film is light and chewable. Presenting an issue like modern racism and a society that is prejudiced against blacks can be daunting and fall flat in many places. 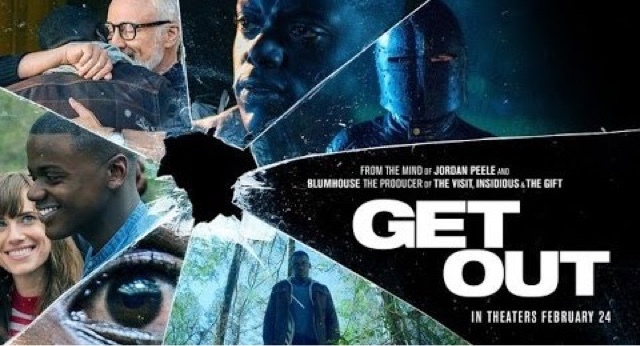 Get Out doesn’t do that. It has comedic moments, scary moments (with few, if any, cheap jump scares) and moments that teach. It might be the best movie on the black experience that I’ve ever watched. Go see Get Out—you don't want to miss it.